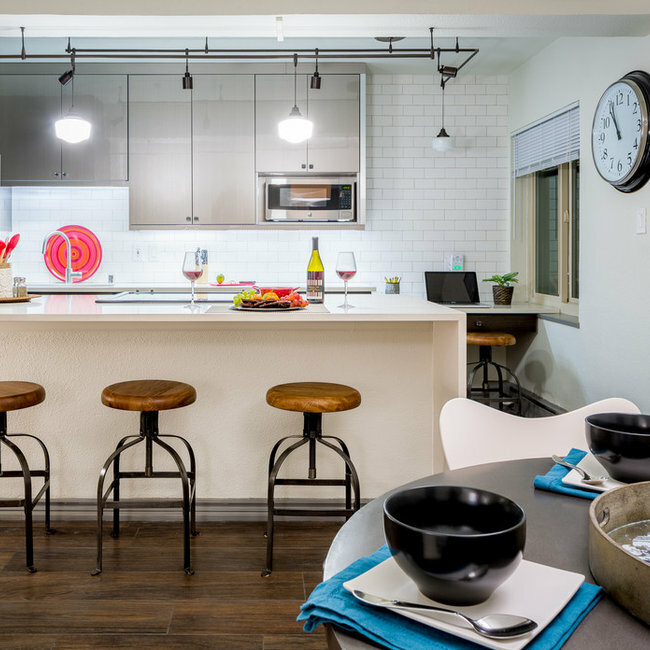 Emily has worked on numerous kitchen remodels and has personal experience with her own homes on how to make the most of your budget. She always begins with you budget to be realistic with what you can afford and do. If you are looking to gut your kitchen and start over, she can provide CAD drawings of your space to get you started, or she may simply suggest it needs paint and architectural finishes to make the most of the cabinet layout you already have. She can make your design aesthetic and desire come to life. Designing your kitchen is about what feels and looks like home to you, not her. She will spend lots of time asking you about how you use your kitchen and does not make assumptions that everyone is the same with how they use it. The kitchen is truly the heart of the home, and as the mother of three, Emily knows how crucial it is to not only look good, but function well too. With over a decade of design experience, she can also coach you on which finishes will wear best for the long haul. 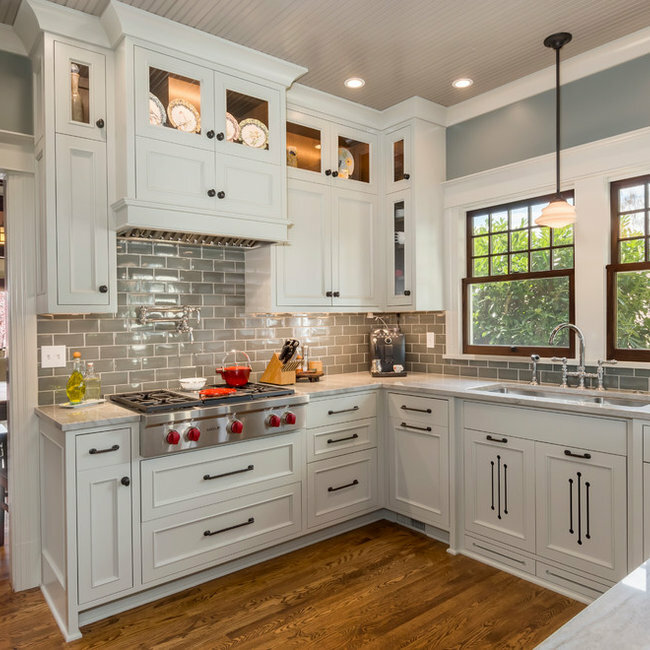 Being sure that your kitchen flows well with the rest of your home is also a priority for Emily, so including a new color design for the entire home may be of the most benefit. If the rest of the home feels complete, Emily knows how to make the kitchen feel like an extension of that. She always begins with right where you are! Emily has worked on all kinds of bathrooms, from kids' to master baths and everything in between. She is a master of project management for execution and can hold your hand, step by step. 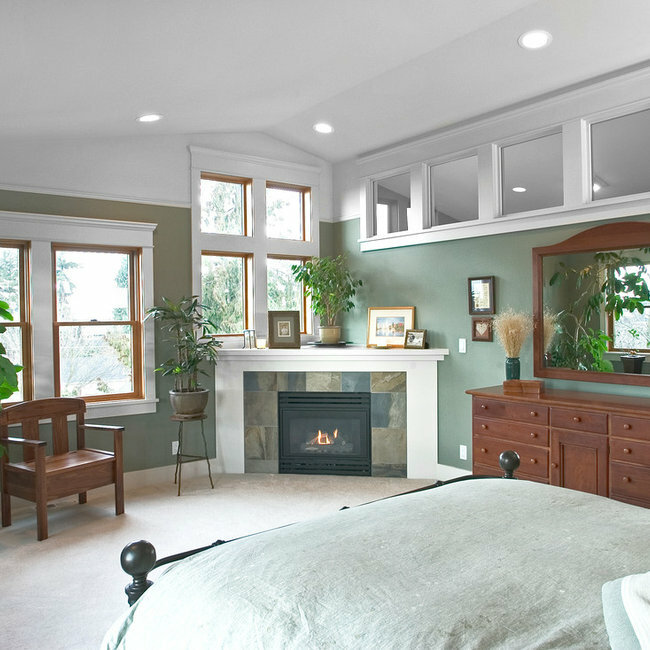 Choosing the right fixtures and finishes are the first step and the paint color that holds it all together comes last. Whether you prefer colorful and fun, contemporary and organic, or classic and elegant, Emily can help you carry out the design and construction of your bathroom to make it everything you dream of. 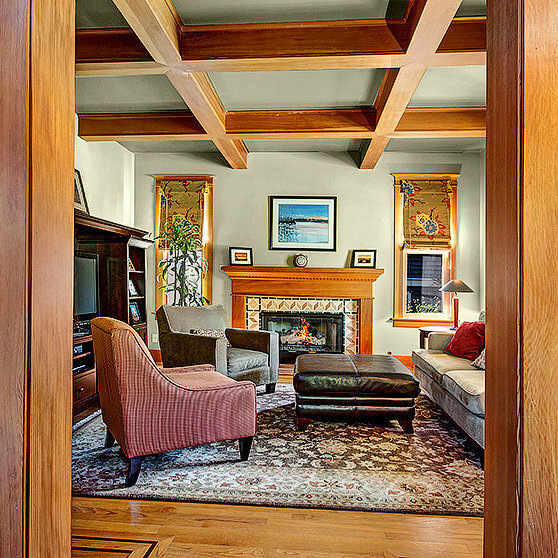 A true Seattle Craftsman with original dark stained fir finish carpentry. When I first worked with this family nearly five years ago, we created a color design for all of the communal areas of the home, except the kitchen. They knew they would be remodeling the kitchen at some point in the future. With lovely furnishings that fit the period and aesthetic of the home, establishing a palette was easy. Somewhere along the line, some of the dark woodwork was painted white in the entry, which was too high of contrast with the wood, and so the wood was lost. By finding a resonate undertone in the woodwork and painting over all of the white, the entire palette and home began to sing. Four years later and after helping with the exterior and their home on Orcas Island, I was asked to design their kitchen! Truly a dream project. 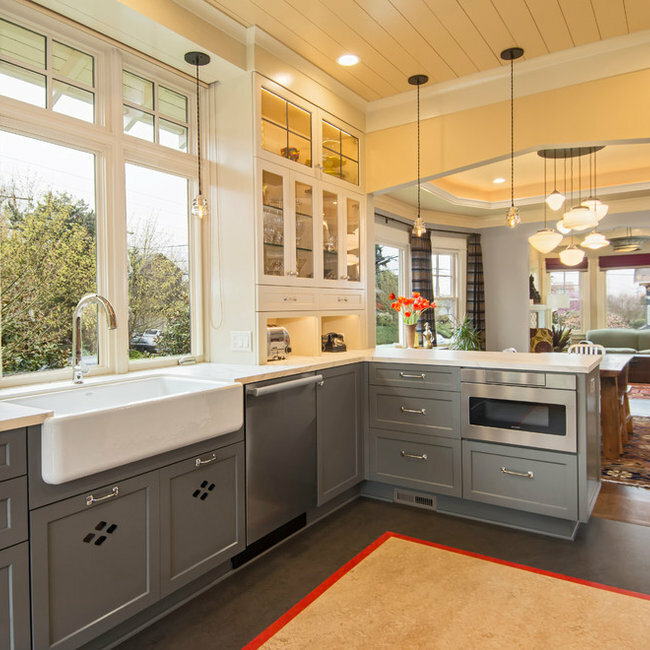 The new kitchen countertops provided the foundation for the expansion of the home's palette. Creating a much lighter aesthetic was the goal, which is where my ability to find the right balance really came into play. I knew having some of the very dark wood elements would be important to connect the new kitchen and sunroom to the rest of the house. Staining the window sashes only, the interior of the glass-front cabinets, bookcases and bench in sunroom, and floating shelves in baking center provided the connection to the rest of the home, while the painted cabinets and woodwork provided the light freshness they were after to the flow with the countertops. I was responsible for the custom cabinet design (layout, function, and aesthetic) and coordination and selection of all hard surfaces and color. 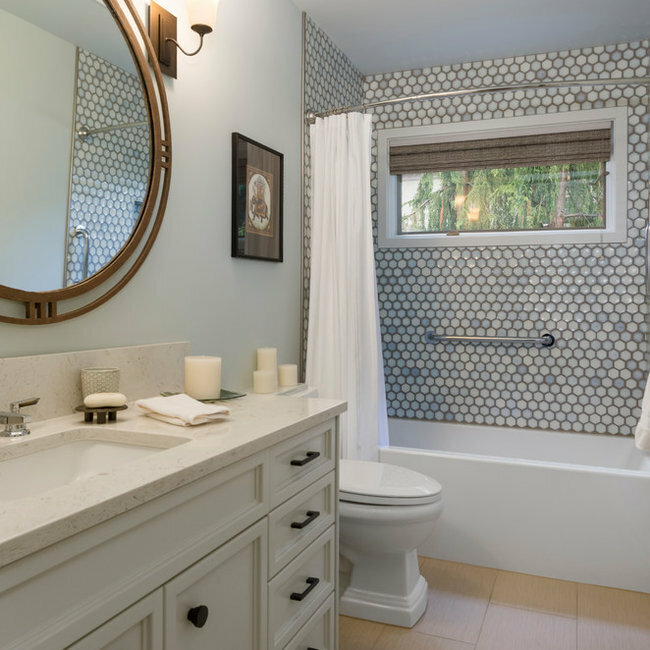 The bathroom was completely gutted and renovated to keep with the period of the home. Basket weave marble floor tile and a classic subway tile wainscot contributes to the bathroom feeling original to the house. An open concept petite vanity keeps the space feeling feminine and light. 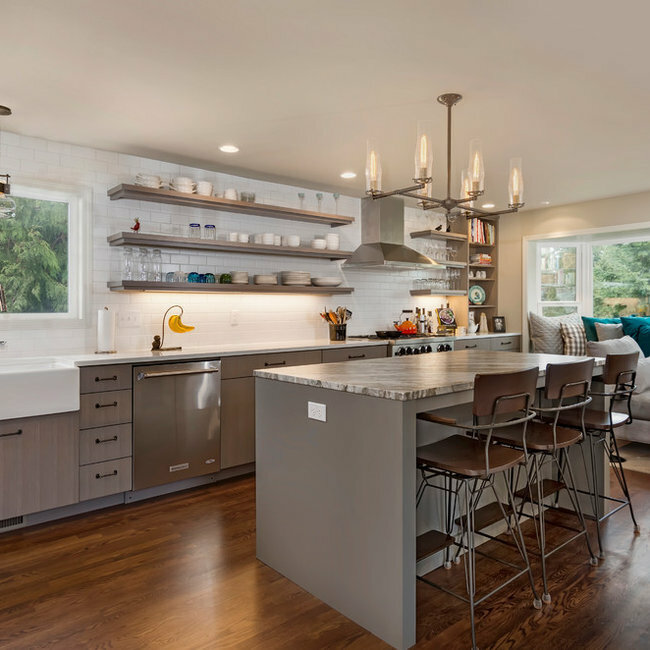 So blessed to work with the amazing home owners and get to do ALL of the design work and construction project management for the extensive renovation of this Ballard "skinny" spec. home, constructed in the late '90's. All three stories of the home were completely remodeled: kitchen (reconfiguration of space to create 'great room' w/ home office), 3 1/2 bathrooms, mud room addition, lighting, flooring, paint, fireplace, addition of bay window, reconfiguration of powder room access, all doors and hardware replaced, window treatments. And then even got to do all of the "decorating": acquiring new furniture, rugs, placement of art, etc. So grateful for this fabulous project that took most of 2016 to complete. 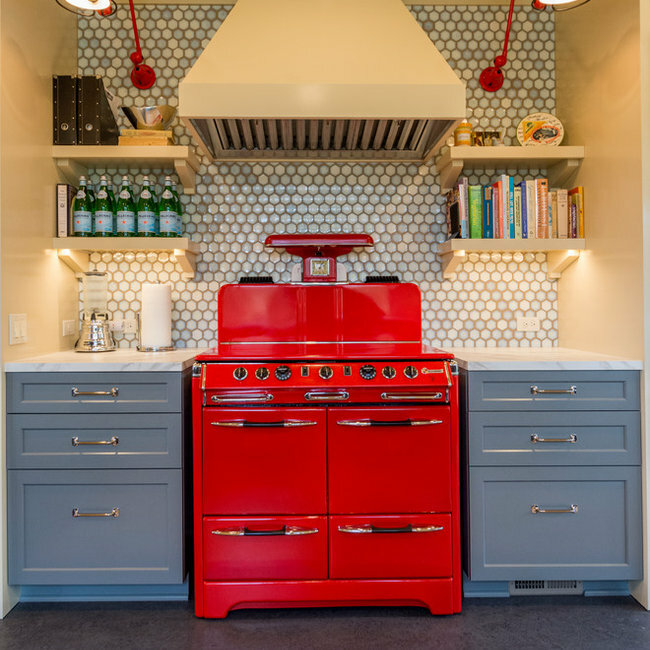 The refurbished red stove was the focal point on which the rest of the main floor's design was based. In addition to all new flooring, paint, tile (including fireplace design), lighting, and window treatments, I also contributed significantly to the finish carpentry design with the addition of shiplap on the kitchen ceiling and raised living room ceiling, allowing the original gable windows to be exposed. The new box beam ceilings in the living room also required design ingenuity to flow with the exposed shiplap ceiling and beam height variation. These homeowners love an eclectic sense of style, with old treasures and COLOR. They especially love Moroccan tile and artifacts. So fun to work with this aesthetic and consistently remind them that we wanted the architectural finishes and colors to be supporting characters...it's all about the balance! Emily worked with the owner of this condominium to create a short-term furnished rental in downtown Seattle. Color in Space Inc.'s Penthouse Palette™ provided the color road map for all of the architectural finishes and decor: not only the paint. Whether using a prepackaged Color in Space palette or having Emily create your own custom palette, Emily's process ensures a beautifully designed and cohesive space that is even working on an energetic plane. Completely gutting the kitchen and creating a new design that opened the wall to create an expansive breakfast bar, choosing and coordinating all new architectural finishes for the kitchen, bathroom, flooring throughout, paint, and decor, Emily created a clean and fresh cosmopolitan design for a highly functional downtown stay. Lori loves to travel and gathers artifacts from around the world. Her home is a fabulous museum of treasures! After her husband passed away, she decided to invest in her home and make it come alive with all that she loves back in 2006. Emily assisted Lori with a new color design throughout the entire home to support and integrate her art, as well as new finishes in her kitchen. Keeping the trim color the same throughout was an economical decision, so all of the new paint colors needed to flow with that existing color. By painting the kitchen cabinets and acquiring a new backsplash, appliances, and counter tops, it felt as though Lori got a new kitchen! Emily also assisted Lori with some furniture acquisition and reupholstery. Her hardwood floors were also refinished, and Emily assisted in selecting the right finish. More recently, Lori was ready to tackle the upstairs for the full home transformation! Emily assisted her with the design and complete remodel of the master suite and guest bathroom, including new engineered hardwood floors in the hallway and bedroom to flow with the existing oak floors of the stairs and main floor. 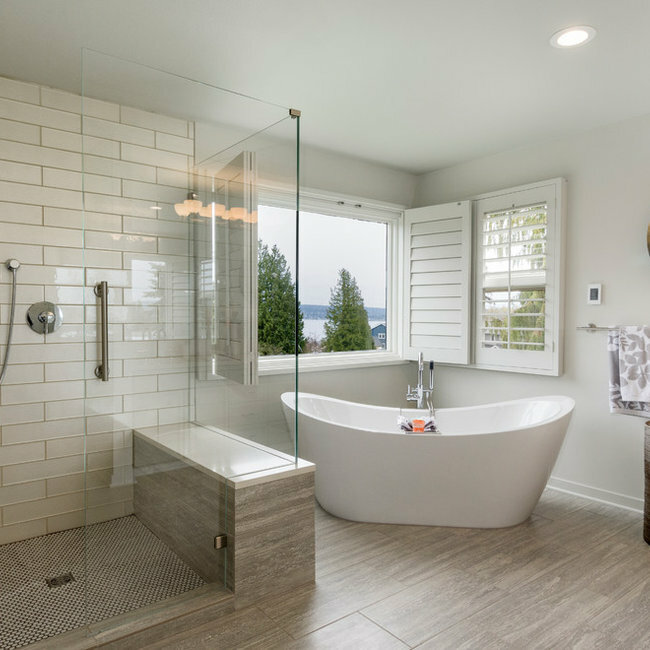 With a new soaking tub and shower in the master bath, a spectacular and spa-like transformation occurred taking advantage of the Lake Washington view! This is the house that got Emily's design career started. Purchasing the home from spec. builders when it was just framed, Emily made every architectural design decision to create this beautiful Arts & Crafts Phinney Ridge replica. Emily selected the windows and doors, designed the trim carpentry, chose all of the paint and stain colors and architectural finishes--including flooring, tile, cabinetry, countertops, light fixtures--and selected all bathroom fixtures. Being her own home, this project also gives a sense of her overall interior design talent in terms of the furnishings, art, window coverings, and space planning. Imagine that this was a blank slate except for the architectural framing, and Emily was able to select and choose every detail. Period elements such as a board and batten wainscot with plate rail in the dining room, beadboard wainscot and hexagonal tile floor in a bathroom with a pedestal sink and clawfoot tub on the first floor, and space efficient kitchen banquette to make the most of the great room at the rear of the house. 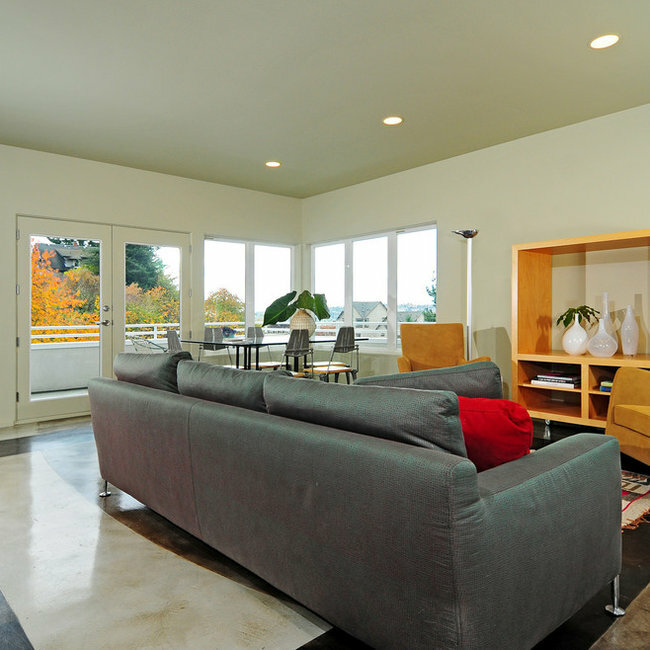 This home was featured on the Phinney Home Tour and was used for numerous magazine and commercial shoots. Emily also had the vision for the landscaping and created a fabulous hardscaped patio in the backyard adjoining the kitchen by a deck in the true spirit of craftsman architecture, marrying the interior and exterior spaces. Nan's amazing concrete floors, kitchen finishes, and art established the palette. Emily created a color design to make the most of this open modern home without competing with the stunning views. Strong paint colors were only used for select walls to make the most of the architecture. The red entry door wall and hallway walls created an optical illusion suggesting that the spaces are linked behind the staircase. The dark brown accent wall at the base of the landing to the upstairs anchors the dark brown accents in the concrete floors. This dark brown was repeated in the library on the bookcases and as an accent wall behind the bed in the master bedroom. 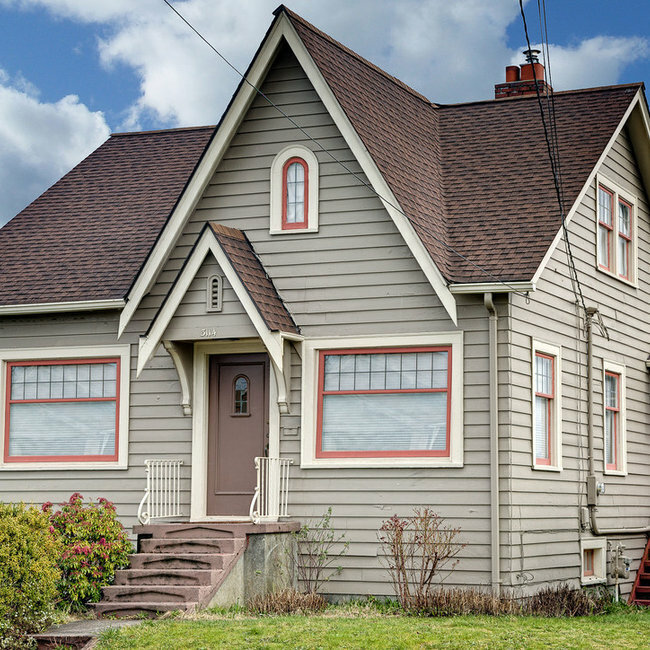 This original craftsman was undergoing a major remodel that added a second floor and completely redid the existing first floor. 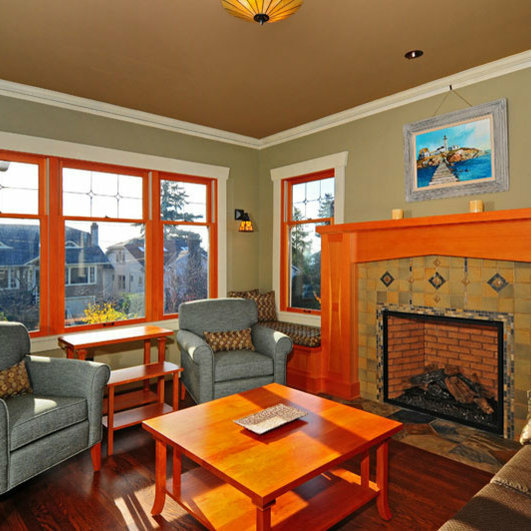 Emily assisted the homeowners in all of their architectural finish selection--leaded fir windows, hardwood floors, Marmoleum flooring, fireplace and bookshelf design, tile selection and layout for fireplace, kitchen backsplash, and bathrooms--and color consultation for interior and exterior.